Gloria is still the best dancer I know. Except for a few instances, the women looked better than the men. People thought I was a lot more together than I was in high school. I thought everyone was a lot cooler than they thought they were. Even though we wore much older faces, there were moments of laughter, a spontaneous outburst or a phrase that hadn’t been uttered in many years and the mask of age vanished to reveal the spirit of my friend or classmate. C.B Clark still has the greatest laugh. R.D. has very kind eyes. B.G. remembers all those goofy talks that we shared with her brother and Mary DG. I left the festivities early but promised to meet up for breakfast at the Galaxy Diner to partake in a New Jersey tradition—Taylor Ham or The Jersey Breakfast. Yes, I ordered up two over easy with Taylor Ham or Taylor Pork Roll. 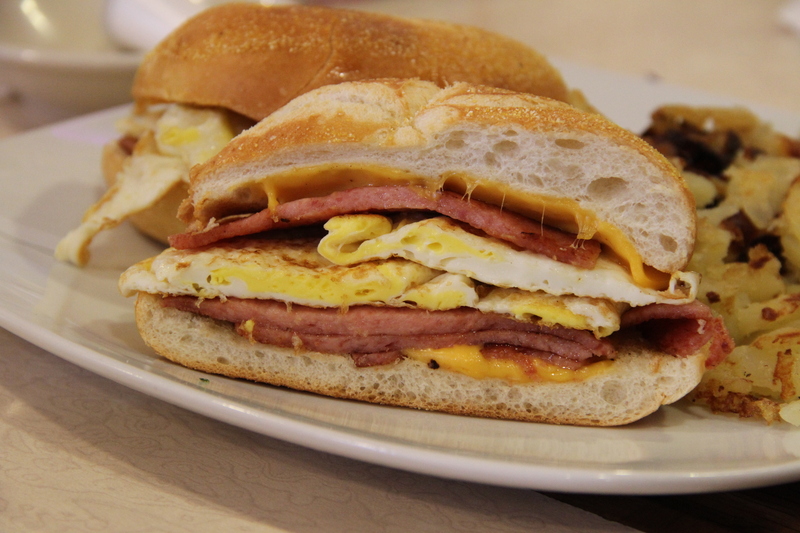 Sharon ordered the late night/breakfast special-Taylor ham, cheese and egg on a Kaiser roll. One mouthful of this Jerseycentric meat brings back memories and provides enough sodium for the next week. 2 slices yellow American cheese. On a griddle heated to medium high cook Taylor ham slices until brown around the edges. Place a slice of American cheese on each half of the Kaiser roll. When Taylor ham is done place slices on bottom half of Kaiser roll on top of cheese slice. Place fried eggs on top of that. Cover with top half of Kaiser roll. I am laughing reading this post as I grew up in Philadelphia and we loved our Taylor Pork Roll. So funny that my kids have no idea what that is! That might be a good thing. That sandwich looks amazing. I am going back to Philly for my 40th high school reunion and can’t wait to partake in classic Philly foods! Good memories. There brands of PORK ROLL other than Taylor. 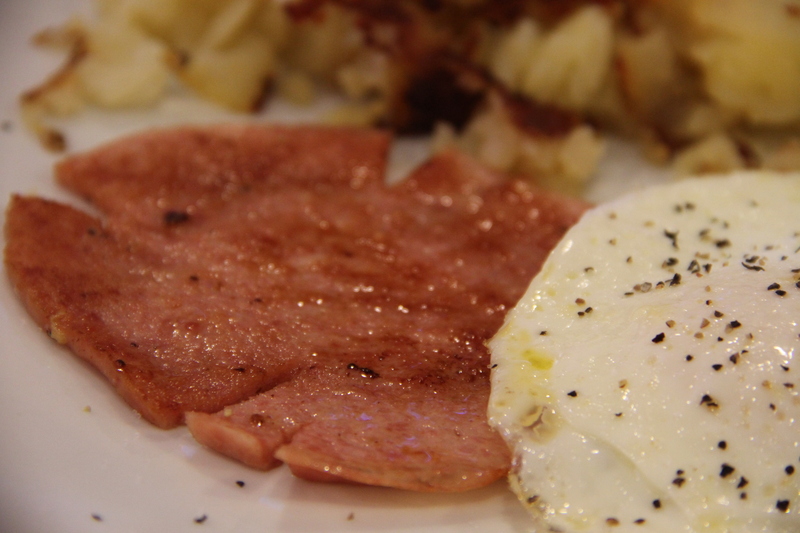 That is why it is pork roll and NOT Taylor ham. Even Taylor says “pork roll” on it, no mention of ham. This is like those who call spageti sauce, “gravy”—it is just plain wrong.